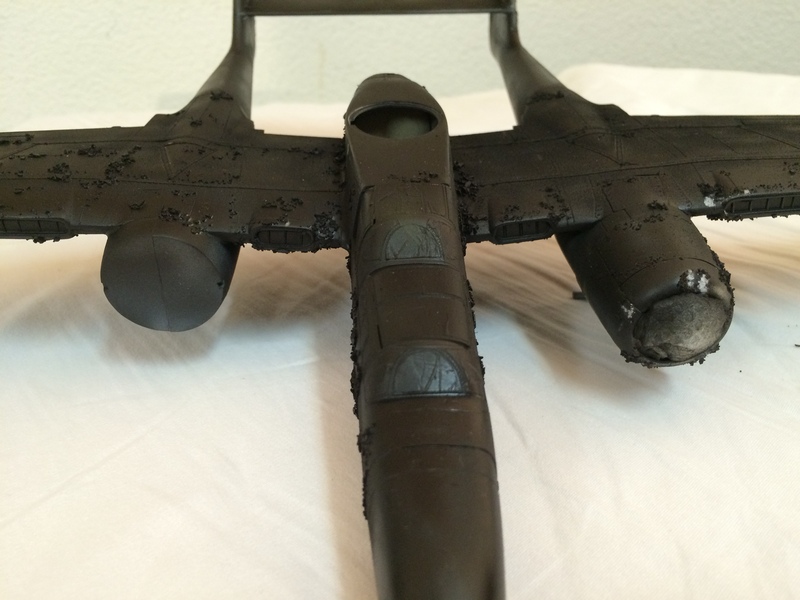 I got the first coat of black on the P-61. 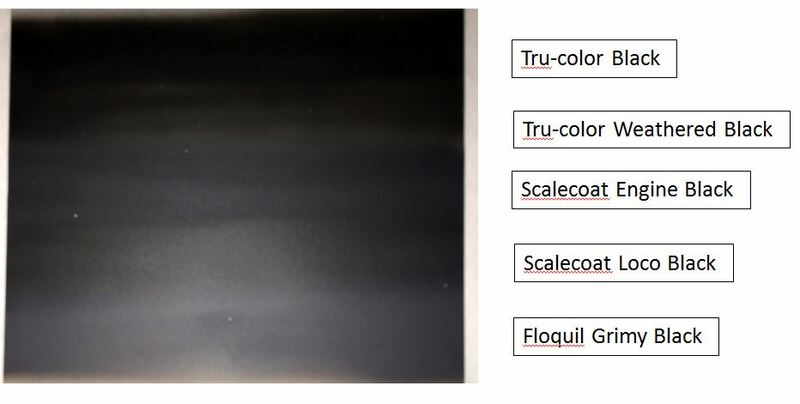 I’ve been playing around with my black paint stocks to try and determine what color of black to use on the model and I’ll probably use all five of these in some fashion. I really miss my floquil engine and weathered black but these substitutes look promising. I have a bunch of other models in the queue that will be black as well so this is worth a shot at understanding black. Here they are; The photo is a bit fuzzy, hard to focus the camera on an all black subject! I’m going to use the tru-color black for the base coat then use the next three for highlights and breaking up the solid black color. At the end, I’ll streak the model with grimy black to give it a true weathered look. Here are a couple of shots. That aircraft is really black! 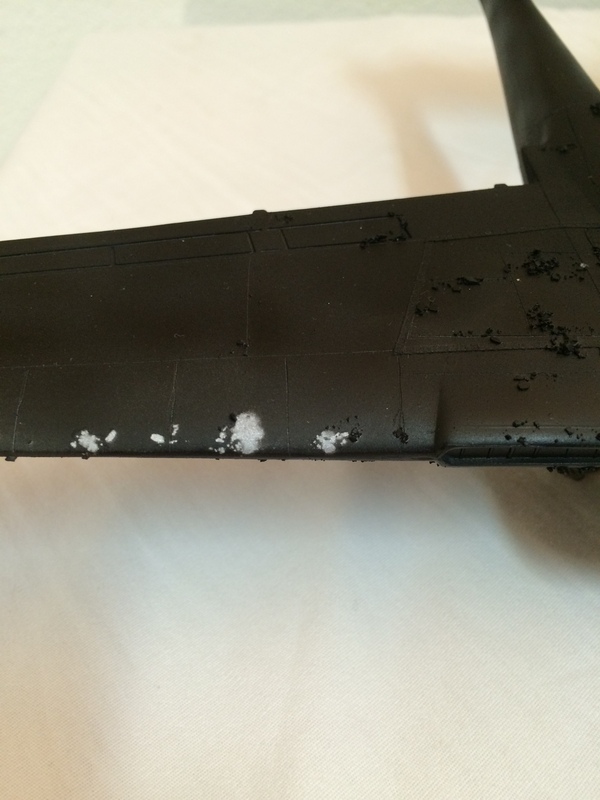 Note that the salt chipping discussed in a previous post is starting to come off. I’m not sure I like the results yet but I’ll wait until all of the black is on the clean it off and see what it looks like. Doesn’t look shiny silver enough! 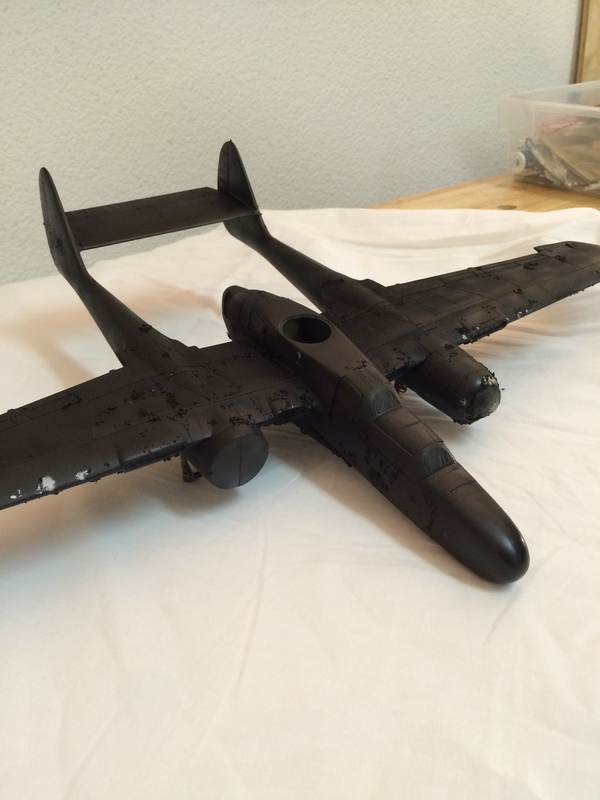 I spent some time today adding salt to a P-61. It really turned out quite easy to add the salt. I even skipped the task of applying future first so we will see how this goes. I made a bowl of water with a one drop of dish detergent. 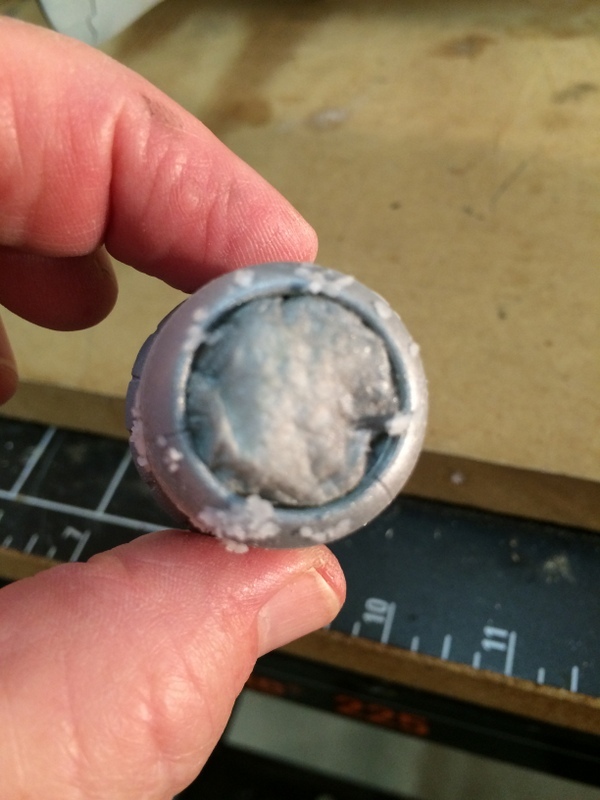 With a soft brush I applied a bit of water to the model in a number of spots in one area then sprinkled Kosher salt onto area and it stuck to the water. The dish detergent helped as the water didn’t beadup but went nicely where the brush was. 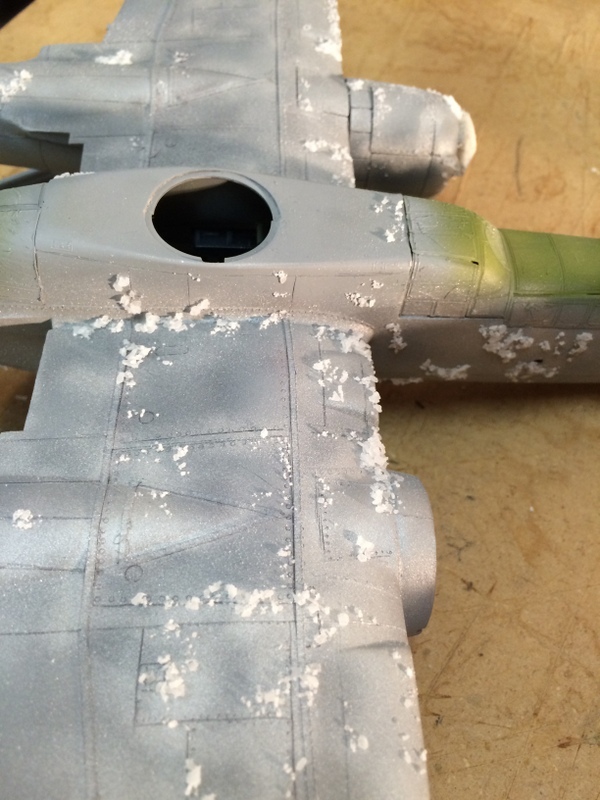 Before I start spraying the black camouflage I’ll take a brush and pop some of the heaver salt applications off. 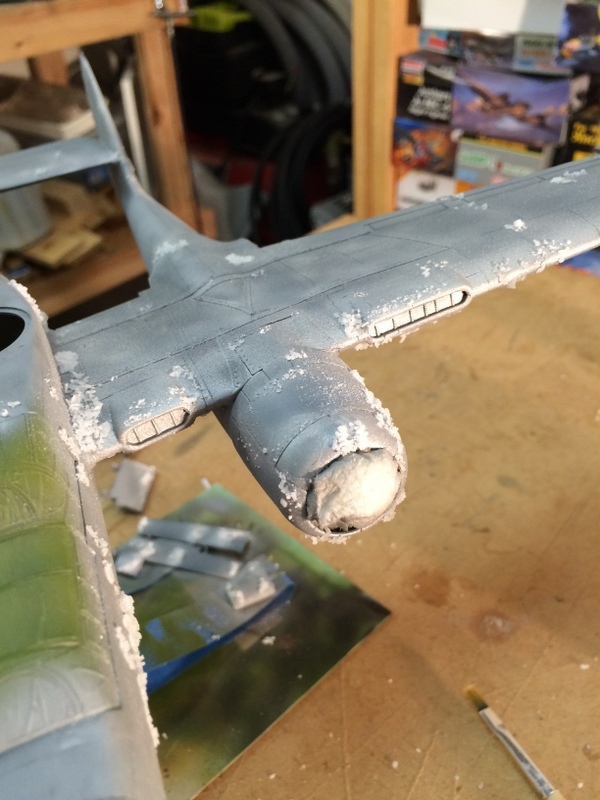 Last August 4th I posted work on an engine for a Hasegawa Bf-109e trop. Today (Christmas) I cover that over that last four month the kit is almost ready for painting. And most of that work has happened in the last few weeks. Funny how life gets in the way of modelling. Sometimes it’s work, or just being tired when I get home, sometimes its scouting, maybe a trip to Nebraska, sometimes things need to be done around the house and you just can’t seem to make time in the garage for modeling. I remember when I was a kid you didn’t need to make time for modelling. Head for the five-and-dime for a $1.00 kit with your lawn mowing money and the kit was more than likely going to be completed before days end. No filing seems, no rescribing panel lines, no after market goodies, no waiting for paint or glue to dry before going onto the next step, just a tube of testors a box of styrene and me! But AMS or not I should still be putting in the time for a hobby that I really love. And so here is another work of love heading into the final stages. The engine is installed along with a nice cockpit. 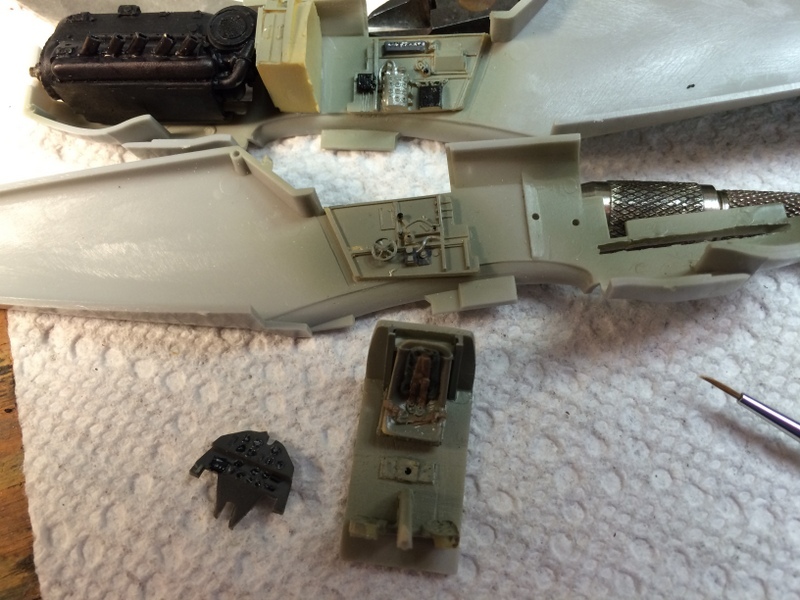 I used the Verlinden Bf-109e set I bought from a reseller and it arrived without the photo etch, so I have been trying to make due with the kit parts and the resin from the V-set. 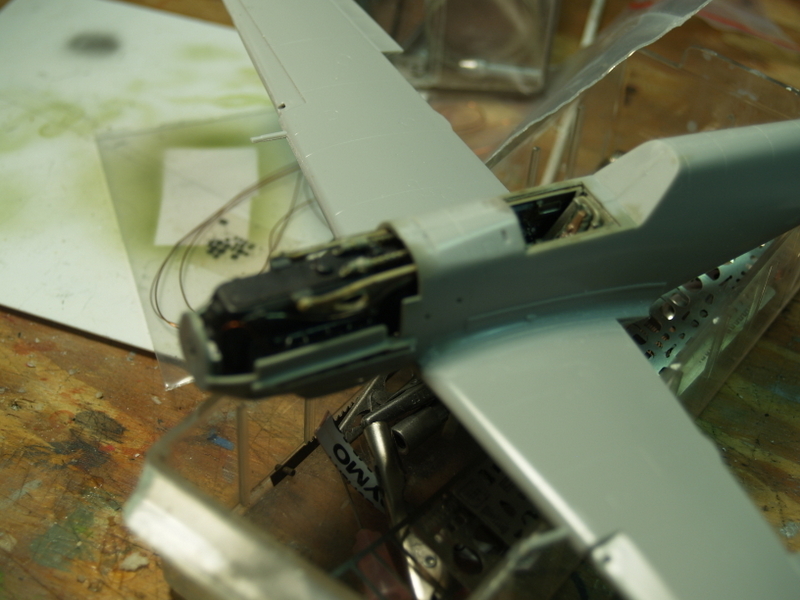 I remember when I was a kid wanting to scratch build an engine for a 1/72 Bf-109 I built but no patience then. So this has been kind of fun. I’ll paint this is the desert camouflage that came with the kit. It will be the first of my WWII desert collection. I like painting German camos and I’m looking forward to getting the airbrush tuned up in the next couple of days. Hope you all got everything you wanted for Christmas. My wife and family provided me with a really nice stash this year, guess I better get cracking on some more kits. It’s been over four months since I’ve been on here. 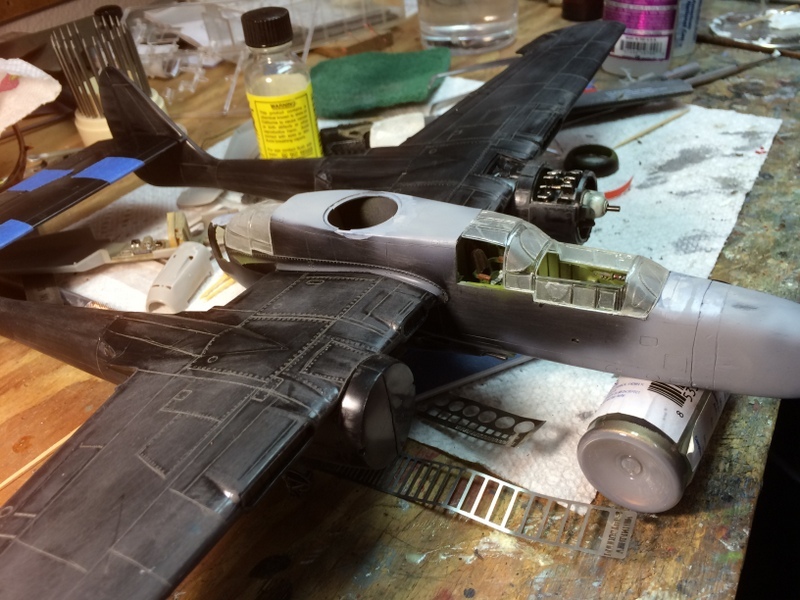 The P-61 and Bf-109 I started in the summer took a back seat over the fall to other life things but happy to say been back in the saddle over the holidays! Using a Lone Star Cockpit (which fits in this kit very nicely) and rescribing all those darn Monogram raised panels I am at the point where I am painting. 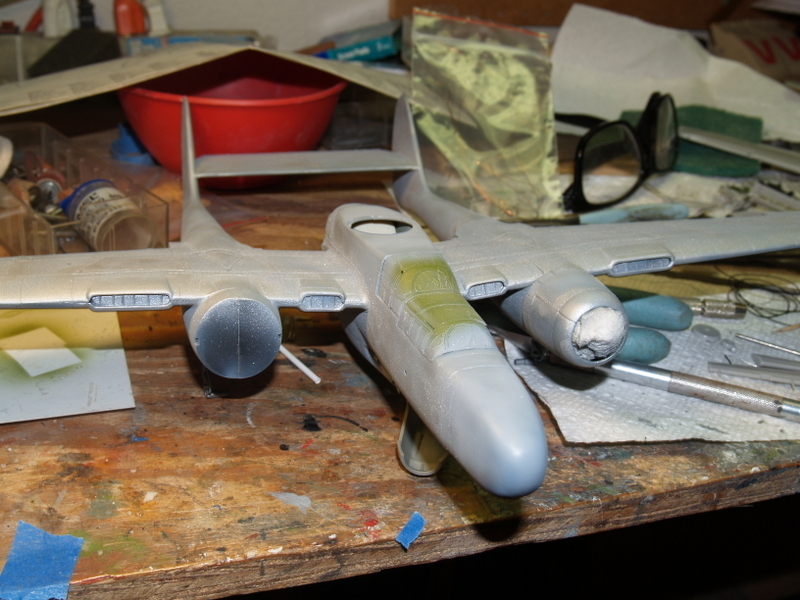 I gave it an overall coat of gray primer and I shoot some aluminium over various spots. 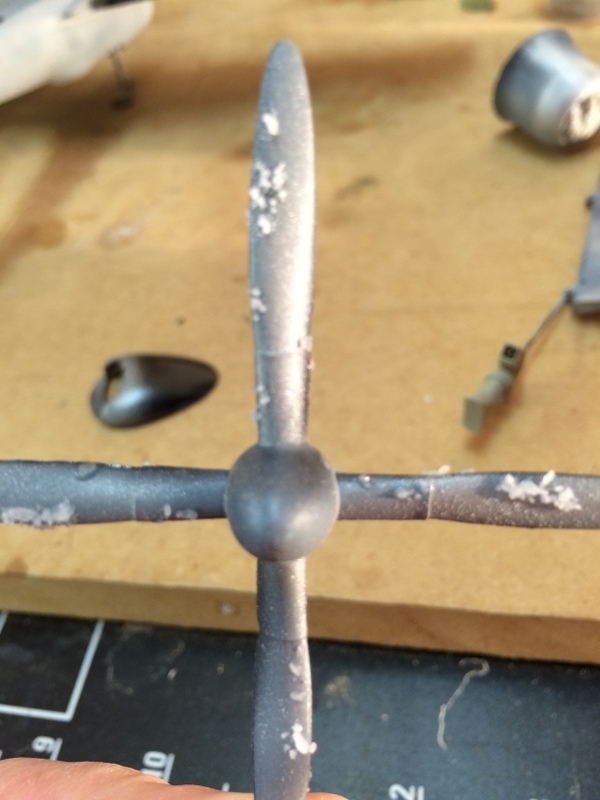 I am going to try using salt to show chipping and wear and next the model will get a coat of future, then salt where I sprayed silver, then a few spots will get chromate green, a bit more future, then some more salt, and then try my luck at a multi-hue black paint job. Interested to see how it works since I have a number of black aircraft in my plan. Here are a few pictures…. 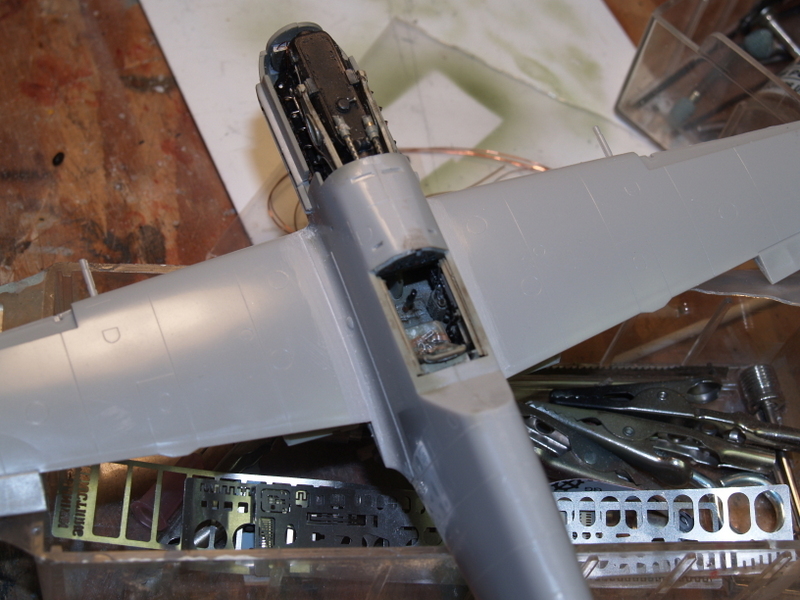 Next a quick update on the Bf-109.